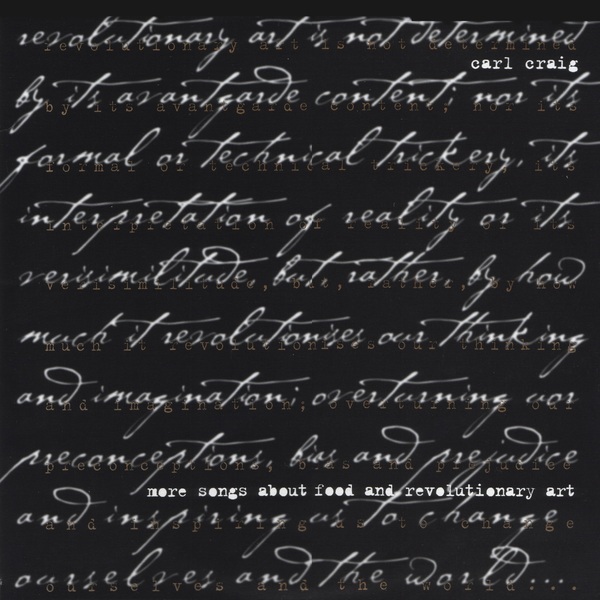 "Revolutionary art is determined...by how much it revolutionizes our thinking and imagination; overturning our preconceptions, bias and prejudice and inspiring us to change ourselves and the world." After a short introduction, "Televised Green Smoke" floats in on a haze, working through the classic blueprint of dance music -- the gradual addition of layered, complementary elements -- until it reaches a soft peak. "Red Lights" works a slow-grind breakbeat, cycling through the Paperclip People oscillator with strings in the background and an atmosphere reminiscent of The Godfather. "Dreamland" and "Butterfly" are closer to "traditional" Detroit productions, sharp and focused but rather melancholy; the former is a reach-out to the British-Detroit axis (As One, Black Dog, B12), while the latter evokes the classic late-'80s productions of Craig's friend Derrick May (who co-produced a later track, "Frustration"). The Maurizio dub "Dominas" is nocturnal and unhurried, even despite the insistent beat and a female vocal sample repeating the title one word after another. Another classic, "At Les," balances a few gently cascading chords with a rhythm program that keeps pushing the track forward and faster."